Northeastern Plastic Surgery Blog Brow Lift or Eyelid Lift: Which is Right for Me? Droopy, baggy, and wrinkled skin around your eyes can make you look exhausted even after a good night’s sleep. And hooded eyes can reduce your field of vision – especially your peripheral vision – and cause eye fatigue. Here at Northeastern Plastic Surgery, Dr. Joseph Fodero can fix hooded lids by performing either a brow lift or an eyelid lift. 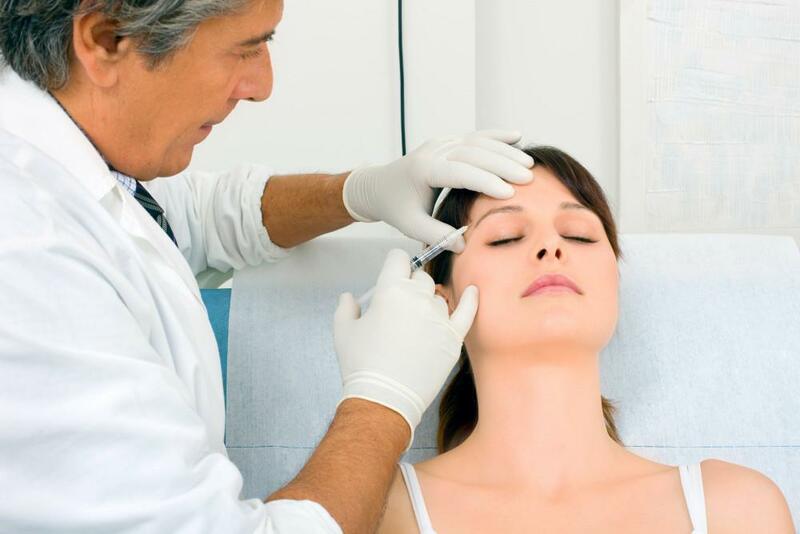 But which cosmetic procedure – or both? – is right for you? As you age, the skin on your forehead loses elasticity, causing wrinkles and furrows. This loss of skin elasticity also allows your eyebrows to drift closer to your eyes, making you look angry and tired even if you're happy and rested. A brow lift, also called a forehead lift, is a cosmetic procedure during which Dr. Fodero makes small incisions above your brow (they’re hidden in the hairline) to lift and tighten your skin and reposition the underlying muscles and tissue. Brow lifts reposition drifting brows, which removes eyelid hooding, improves frown lines, and generally makes your face look younger and happier. The outpatient procedure is typically conducted under general anesthesia or sedation with local anesthesia. After the surgery, you may experience swelling, bruising, tightness, and slight discomfort. Most swelling and bruising resolves within two weeks. An eyelid lift, also known as blepharoplasty, is a delicate surgery that removes skin and fatty tissue from your upper eyelids. The scar rests in your eyelid crease and virtually disappears during healing, which takes a week or two. The result is a more open eye and youthful look. This outpatient procedure is typically conducted under either local anesthesia or light, intravenous sedation. Dr. Fodero cuts along the eyelid fold, remove skin, muscle, and maybe fat, then sutures the cut closed. After surgery, patients typically experience pain, swelling or blurred vision because of ointments, and puffy and numb eyelids. To help reduce swelling and discomfort, you should frequently apply ice packs the night after surgery. Bruising and swelling usually subside within two weeks. Brow lift? Eyelid lift? Both? You make this big decision with Dr. Fodero, who considers several factors. For example, eyelid lifts are most successful if your brows rest in the correct place but your eyelids sag. Brow lifts are good options if your eyes have become hooded because your brows are heavy and sagging. The skin over your eyes droops and may even rest on your eyelashes. This procedure is appropriate if you have already undergone eyelid lifts but still have hooding. Brow lifts paired with eyelid lifts brighten your face by repositioning sagging brows and removing heavy, fatty eyelids. You don’t need to make this important decision by yourself. Call us at Northeastern Plastic Surgery or book an appointment online with our board-certified plastic surgeon, Dr. Fodero, who will discuss your options for making your face look younger and happier. When you’re unhappy with your breasts because they’re too small or sag toward the ground, it may be time for surgery. Learn more about the different types of breast augmentation surgeries now available and which is right for you.